Our latest podcast features an update from Elk on the devastation caused in his hometown of Houston by Hurricane Harvey, a chat with Ethan Tracy days after he secured his PGA Tour Card for 2017/2018 and Elk talks to Patton Kizzire who's in Boston playing in the latest round of the FedEx Cup playoffs. [THEME MUSIC] THEME SONG: It's Secret Golf. It's what I'm looking for. It's why I get up every morning, call my good timing friends. It keeps me coming back for more. Secret Golf. We're headed down the road. We just load it up, big show, we're goin' lookin' for the heart and soul. Rollin' to the wheels fall off, it's Secret Golf. Shh, it's a secret. KNOXY: It's another Secret Golf podcast with Elk and Knoxy. Am in Jacksonville in Florida right now. But Elk is in his hometown of Houston, Texas. Obviously, the devastation in Houston this week, Elk, has been terrible. How are you doing there? ELK: It's been a struggle. You know here it champions area, on the Northwest side, we're pretty fortunate all things considered. We've had-- if you can believe this, we've had-- we measured this at our house with the rain gauge-- we've had 36 and 1/2 inches of rain here at the house. And The Champions Club, which sits right on Cypress Creek, which is one of the things that fills up very quickly, yes, it's gone over some of the holes at Champions before, but now, this time, it's just back all the way up into the whole back nine of champions and then into people's homes. And tons of the people that we know have had water in their house and there's just a million stories about people that have flooded out and so on. And of course the golf. Forget the golf. The golf is not going to happen for quite a while here in Houston. There are so many other things that are on our minds besides golf, obviously. KNOXY: Yeah, exactly. Now the thing is your house isn't far from Champions Club. How have you been at your house? ELK: Our house is, fortunately, up. You know, when we built this house, [INAUDIBLE] and I, we found this gorgeous live oak tree that's 200 years old perched up on this-- when I say perched up, Houston is like four feet higher than anywhere else is what we considered perched up over here. So we built our house up on this little area and then we even raised some more so. No, we're very fortunate to be where we are. We actually have the University of Houston golf team. The campus has been closed down at University of Houston. And of course, my son Sam plays there. But we had seven boys staying at the house here. And we sent them over to Champion. They wanted to do something because they were getting cabin fever in the house. So they literally swam over to champions looking for people to help them out. They said they got some elderly people. They rescued some pets. And they were feeling very happy with themselves that they could you know do something in the flood. You know? KNOXY: My gosh. I mean, for you to say that they swam-- I've seen pictures. You've obviously put some pictures on Twitter. But the parts of the road, parts of the golf course, parts of the land just covered in water, it looks like it's a river, not supposed to be a golf course. ELK: Yeah, I mean, the most shocking thing of all is you always see the roads, and so on go under. But when you see how deep it gets back in the neighborhoods where it sort of shocks you. You know, the real shock value. This hurricane, it's been real nondiscriminatory, of course. It's gone into these big neighborhoods with huge homes. I mean, we've probably seen on TV. We were looking at Kingwood and Deerwood where they played a tour event up there and they also have all the qualifying tournaments in Deerwood and Kingwood. We're talking about million dollar homes just all the way back in there, just all flooded out. Of course, the sight that I'll never forget the rest of my life is highway 45, one of the biggest highways the United States, was closed, obviously, for water. And they had a snapshot of boats going up and down either side. Where cars would get off, the boats were getting off to go back into those neighborhoods and pull people out and bringing them back to high ground. I'll just never forget that image of just the boats going up Highway 45. It was so surreal. Boats, air boats, all kind of boats. Property damage is going to be the thing. One of the things that we didn't get here. So what happened was that hurricane landed down in Rockport which was also devastated by the center of the storm, but it was 200 miles to the west of us. So if you can imagine that outer edge of that Frisbee was right across Houston when it went on land. And what happened, that hurricane Harvey went inland a little bit and the edge of that Frisbee just stayed on Houston. And what it did was it went in a little ways, then it stopped, and then it came backwards down the same track so that outer edge just stayed on top of Houston just coming back the same way. Then it came back to the coast, and then it moved up towards us, and then we got it again. So we just kept getting pummeled by the same outer band of this thing. And this thing was delivering six to 10 inches an hour. At the beginning of the storm, you know, you're sort of thinking about, can we play golf in a couple of days? Is everything going to be OK? And then all of a sudden, it sort of got real when the power went out. And then there's no gasoline to buy within any 10 miles of anywhere from our house there's no gasoline to buy. There's no bread. There's no milk. Some thing's are starting to open up, but then of course, there's lines to do it. I noticed this morning on TV, there's thousands and thousands of people downtown that are lining up to volunteer to try to help everyone. So it's a critical time down here for Houston. It's just so how many people are affected. 6.3 million people in the city, I'd everyone's affected. KNOXY: And have you spoke to Jackie Burke? How's he doing? ELK: Jackie can't believe it. He's seen a lot. He's one of the only guys around that has seen all these floods. He can't believe it. The Champions Club, of course, is where we all live and love. And it's had so many great tournaments. And we're looking ahead to the 2020 US Women's Open at Champions. And I was thinking, well, what's going to happen now with those back nine, because I'm afraid the back nine may not come out of the water for another week. Which grass can't stay alive underwater for that long, particularly the greens. And then it gets eroded and washes away. Maybe. Maybe the crazy thing to say is that maybe it just blows it right out and they go back in and do it again, you know, rebuild it over. KNOXY: Yeah, they're going to have to whole thing again. My goodness. Well, we're thinking of you all and of course everyone in Houston. And hopefully-- as you say, this rescue effort is going to be going on for a long, long, long time. It's going to take a long time to rebuild Houston and get it back to normal. ELK: Yeah, I mean trying to swing my thoughts to Golf. And you and I spoke about this a couple of days ago that the bright spot in our golf podcast today is, of course, Ethan Tracy, one of the Secret Golf [INAUDIBLE] guys that went to University of Arkansas and has been on the smaller tour since 2012. We are happy to announce that Ethan Tracy has finished 24th on the Web.com money list, which graduate's him to the PGA Tour. And I have him on this podcast to discuss exactly that. Listen to this. HOST: Mate, you had to sweat it out big time on Sunday for the final. web.com event. ETHAN TRACY: Yeah, I did. I didn't make the cut. So I had to hope that what I did over the whole season was enough. And it turned out it was. It was definitely a stressful weekend, but I made it through. HOST: Such an important step in your career, mate. I remember I was telling my wife today that when I got my tour card. I actually got it on my birthday in 1986. What was it like for you? I mean, you've been on tour, you've been playing a few of the different tours since '12, right? But this is your first year on the web. Now you're going to graduate to the PGA Tour. ETHAN TRACY: Yeah, that is correct. I turned pro in 2012 and played just about every tour there is. Many tours. Latin, Canada, now Web. But I keep working my way up. And that's what this game is about, I think, is just keep on progressing. That's all I can do. HOST: Of course, a lot of people will know this, because hardly anyone saw it, but you won this year in Colombia. I knew it at the time. But you were you finishing up your round. You holed a wedge shot on the last hole. Of course you weren't thinking the hole on a wedge shot, were you? ETHAN TRACY: Oh, of course I was. There was actually a rain delay right before I want and hit my layup shot on a 18. And then my approach shot for 18. So I knew what the clubhouse lead was. And I needed to make eagle. HOST: You went out and holed it? ETHAN TRACY: I went out and holed it. It was that or second. HOST: When you hit the shot, we all know when we hit a really good one, but what were you thinking? ETHAN TRACY: Yeah, I hit a really solid. It never left the flagstick. It was going at all the way. And then I was yelling at it to sit down because I thought it was going to be a little long. And it checked up real good and came in the backside. HOST: And then of course, you went into a playoff. You had to wait around and get into a playoff. It's Robert, right? Robert? HOST: And then funny enough, here we are at the end of this whole race to the PGA Tour cards, he was number 25. Is that right? Yes? Or Sunday? ETHAN TRACY: He was. Yeah, it was good to see him get in there, too. HOST: Were you guys talking to one another on Sunday, like, man, what a ride, or what? ETHAN TRACY: Yeah, not too much. I think he was pretty bummed that he didn't do it on his own, like secure it on Sunday. Like, jump me and put me in the 25 spot. But I know he was glad to make it. And again, it's a year long deal and it just doesn't come down to one event. So I'm sure he is very happy about that. HOST: So I know you've had a few days here to think about this. What are you thinking about with the tour? I mean, what'd your mom say? What did your dad say? ETHAN TRACY: You know, my mom was super excited. She was refreshing her phone like crazy that Sunday afternoon just to see if I was going to be beaten by a couple. And it worked out well. She was so excited. She knows how hard I've worked my whole career, ever since I was 12 years, when I wanted to play the PGA Tour. And now it's come in reality. HOST: And of course, you can go back to the four playoff event on the web.com. Explain to us. Now everything that you've done up to this point is wiped off the board. And there's a bunch of PGA Tour players that didn't keep their card. They come over now. 150 guys play four events on a very separate money list. But you can upgrade your position, right? You went over there -- right now, your 24 B or something out of 50? Would that be right? ETHAN TRACY: 24 B, yes. So they wipe out the money list. And you start a new one for these four playoff series events. And then you get ranked that way for your priority to come into the PGA. So, yeah, I still got to play hard and improve my status that way. HOST: You could go over there and let's say that you finished top 10 on the four events combined. You would then move from 24 B on the list up to 10, right? Is that right? ETHAN TRACY: That's correct. Yeah, I'd probably move up to 10 A I would assume. I think the playoff numbers would be that A and then it goes to the regular season 25, that's the B. HOST: Yeah. And the reason that that's so important here is that when you play a PGA Tour event-- and a lot of players decide to skip the week-- you guys, essentially the 50 guys that are new to the tour, and you have a number, and that's almost like the next guy in line that gets into the event. So being 5th or 25th could mean five or six [INAUDIBLE]. Five or six [INAUDIBLE]. ETHAN TRACY: Correct. Yeah, and then when we get those starts, we've got to go play well to improve for the rest of the season. And get in more events. HOST: Do you basically looking at the schedule and going, oh, yeah. I'm going to play this one. I'm going to go to Hawaii. I'm on take my friends. What are you looking at? Are you going to play the full season? HOST: Well, you do now! ETHAN TRACY: More securely, yeah. HOST: So when are you going to get married, mate? When are you getting married? ETHAN TRACY: New Year's Eve. HOST: Oh, fantastic. So you'll have actually played probably four tour events before that on the wrap around season probably, hopefully? ETHAN TRACY: I believe so. The ones that I don't believe I'll get into would be the WGC. I think there's on WGC. And the ones out of country. ETHAN TRACY: Vegas, maybe Napa. HOST: And of course, you want to University of Arkansas, where two of our other Secret Golf girls were from. Were you there at any time with Gabby Lopez or Stacy Lewis? ETHAN TRACY: I was there with Gabby, yes. She is an unbelievable player and doing well right now in LPJ. It's good to see her out there. ETHAN TRACY: [INAUDIBLE], as well. ETHAN TRACY: Thank you very much. That's great advice. KNOXY: So, yeah, Ethan Tracy, definitely in celebration right now after finishing 24th in the top 25 on the Web.com Money List. This week, I guess, their playoffs start. It's the National Children's Hospital championship in Columbus, Ohio. Elk, the whole top 25, Ethan's being guaranteed some status on the PGA Tour, but he can really increase it now in this playoff season. ELK: He can better his position. But the pressure is off Ethan Tracy, because now he already has his spot secured to the PGA Tour for 2018. That's fantastic. The interesting thing about the Web.com deal to me is that you could play a disastrous season on the PGA Tour. You get to go over now to the Web.com, you get to play four condensed events for pretty good money, good money. And if you finish in the top 25 of that money list, you walk right back on the tour. I mean, it seems to me that the web guys have got the hardest battle, because they battle all year. 25 make it. And now they've got to go against the 75 tour players who were better than them to get on the-- you know what I'm saying? It seems like they make it harder on the guys that aren't as good. But I guess that's the nature of the beast out there. And i. tell him on the thing that mate, you're going to play better players when you get up there. So you've got to stay with your game. You've got to do what you can do. When 70 young guys get out there, I think that will change everything. I mean, stay with your game. KNOXY: Yeah. Exactly. And just think, to talk about Martin Piller as well. Because we had Martin on the podcast a few weeks ago. He is now 28th on the list. So he missed out on the top 25, but he's obviously going to be fighting in these playoffs. And the playoffs, it goes back to zero though, doesn't it? So really, he's got now four weeks to get back up there and earn his PGA Tour card. ELK: You know, it's hard to describe what Martin's gone through with his emotions in the last month. He was nowhere even in the pitcher for getting his tour card. He wins in California. He jumps into the top 25. He has two remaining events to solidify that. He decides to go to Iowa and support his wife, Gerina Piller, which they won the Solheim Cup. Goes back out to Portland to try to get it and slips out. So you know what? I'm not going to second guess the guy. He's doing what he wants to do. They're a family. They know what they're doing. But who wouldn't be pulling for Martin Piller to finish in the top 25 in these last four Web events. And you know what, I think he's feeling pretty confident about it, too. I did text with him. I did talk with him a little bit. And he's like, hey, it's all good, Elk. I'm feeling good, mate. So you know, yeah, I like that attitude. We have, of course, one other player, Jason Gore, who's a little bit further down the list, 35th. But still, it doesn't matter anymore because they all start at zero on these four events. They say if you finish in the top one or two in the first event, you're going to make it for the top 25 because it's not that many big checks. For example, well, if you won it first when you're in, you're going to get your tour card. If you finish second, you're probably going to get your tour card, because second money over four weeks is going to hold the spot at top 25. KNOXY: Yeah. Well, good luck to Martin Piller and to Jason Gore and Ethan Tracy, who wants to move a little bit higher up, as well. Now, FedEx cup playoffs for the PGA Tour, right now. And it's the second round in the Dell Technologies Championship at TPC Boston this week. Top 100 are playing in the FedEx Cup points. 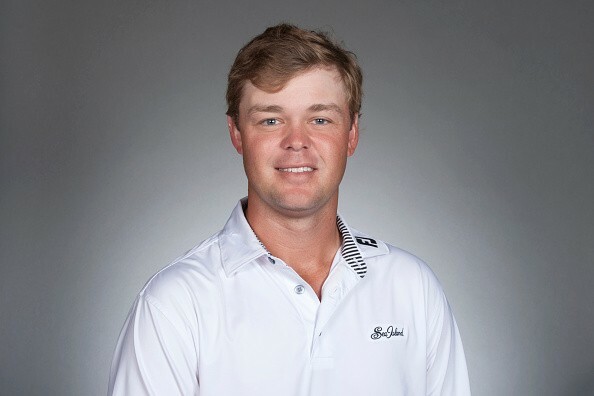 And Patton Kizzire is one of our new guys at Secret Golf. Now, Patton, you speak to me in a couple of minutes and you'll hear him talk about it, but he hasn't really had the best of years. Had a good start in the opening season. Right now he's just snuck into the top 100, he's 97th. So he has to have a good week this week, Elk. ELK: He does. And he talks about that this week in the podcast here, we're going to hear from him in just a minute. Patton's got such a good attitude. I mean, you can just tell when you listen to Patton Kizzire that this guy-- I would text him. He missed a lot of cuts this year. And I'm almost like a sort of a father figure to some of these guys. I might text him, hey, man, keep your head up. He's like, I'm OK, Elk, I'm OK, man. I'm close. He has the best attitude. All year I was following him, texting with him, talking to him on the phone occasionally. And he even talked about it as we discussed with him here in a minute, I said, what was your year like? And I think on this wrap around deal last year, he got out of the gates. He won like $600,000 his first week. So he almost had his tour card the first week a year ago. So every tour player wants to have a great start to their year, but we've often said to ourselves, I wonder what would happen to my year if I didn't get off to a good start and I had to fight a certain type of the year a different way. You know what I'm saying? Whether or not that you're inspired, does it make you actually lay off a little bit? Of course, he's so young. We've seen it with some of our other players like Pat Perez, who started really strong. He won in the wrap around season and then just got better and better and better. And I think Pat Perez is like 12th on the FedEx Cup. He has matured into-- Pat was so volatile. And everyone knows that. He's such a lover of golf. People forget that about him, but he is a little volatile. He loves golf so much. But this is Pat's best year. And of course, he's up there in 12th position. I think we have five of our players up there. We've got [INAUDIBLE] up there, [INAUDIBLE] up there, Brian Harman's up there. He's playing a practice round today with Kizzire. Let's hear from him and let's get a little vibe of the tour in this FedEx Cup. HOST: So Patton, you made it up to Boston, mate. Have you had a chance to look at the course? PATTON KIZZIRE: I went and played number 12 through number 18 yesterday. They redid the 12th and 13th holes, so I wanted to check those out right when I got here and been just practicing a little bit. HOST: You got a game with Harman, today, your boy? You going a little money game with him? PATTON KIZZIRE: Yeah, I'm going to see if I can get another pocket. We're pretty competitive, so I always want on that match. HOST: What do you feel like has been good for your this year? You started out the gate, you did what everyone wants to do, you played great out in the fall, right? PATTON KIZZIRE: It's been a good year and a disappointing year all together. I've had some good tournaments and some good finishes, but I know what I'm capable of and it's been-- golf is full of disappointments. But you just live for those good weeks, and I'm looking for some really good ones. HOST: Going into the playoffs last week, I wasn't great for you or Harman. There's so many points available-- 2000 points. You're not out of it, right? This is your week. You've got to do something this week? PATTON KIZZIRE: Yeah. Yeah, I snuck in this week. I look at it, I have 98 places to improve and only a couple to go back, so it's really a nothing to lose week. PATTON KIZZIRE: I've actually been hitting the ball really well over the last few months. Which that's been kind of lacking for a few years. Off the tee's been a difficulty for me. But I've been hitting the ball really well off the tee, and [INAUDIBLE]. I just got to get those putts to start dropping. And it's another ball in the right direction. HOST: What's the vibe? What's the pulse of the tour out there right now? You got [INAUDIBLE] one last week. You got the Justin Thomas, those guys, and [INAUDIBLE]. They're right at the top. Have they separated themselves? Or are they-- what's the vibe on the tour? PATTON KIZZIRE: Yeah, you know, I mean, those guys have been playing extremely well this year. And they have kind of separated themselves. You know, multiple winners, and they're just up there it seems like every week. So it's really competitive out here, and those guys have played so well. And everybody seems like they're kind of chasing those guys a little bit. But there's so many good players out here. It could be anybody's week, anytime. HOST: Now, your friend, Brian Harman, who we've had on [INAUDIBLE] played during the US Open. You weren't surprised by that, were you? You knew that he was a tough character. I knew that. What was your take on Harman's performance at the US Open? PATTON KIZZIRE: I thought he played extremely well. I know he was disappointed. He's one of the most competitive guys out here. I mean, everybody is. But he's always been a great competitor. I thought he could do it. I know the wind switched on him a little but and didn't favor his left handed draw. And I was just watching [INAUDIBLE]. I could see him kind of fighting it. But he hung in there. He played great. I know he doesn't-- and he's not going to be satisfied with second place, but we were pulling for him and proud of him. HOST: Well, everybody would be happy to know that the Secret Golf's next stop for two [INAUDIBLE] player channels is going to be down there [INAUDIBLE] with you, Patton Kizzire, and Brian Harmon to get all the goodies from you two guys. Hey, have a great week. We're looking for you. And how about putting up 1,000 points for me this week or more? That sounds like a dang good idea. KNOXY: So Patton Kizzire there. And good luck to Patton this week. Hopefully he can get a good finish and move into the next event in these FedEx Cup playoffs. So Elk, thank you. Joining us from Houston, I'm sure you have a million and one things going on right now. And of course, we're thinking about you, and your family, and everyone around you, too. So stay safe. ELK: And my little chickens. I have seven chickens that have done it just as tough as we have. Do you want to know the names of my chickens? I know you do. Hattie, Maple, Lois-- Lois is pretty naughty. She gets out of her coop and goes next door and we have to go scurry over there and get her-- Marianne, Gertrude is the mother of all chickens, she's in charge of the whole show, Lollipop, and Peanut. So they like bananas and watermelon. So there's the trivial animal portion of our show. Thanks, Diane, and I will be ready to see the results of all this golf that's coming up this week while I'm doing nothing here but rake leaves and repairing things. KNOXY: And looking after the University of Houston golf team, as well. KNOXY: Thank you for listening to our Secret Golf podcast. Don't forget, if you haven't done so already, you can subscribe on the iTunes store. Just go on the podcast section and search for Secret Golf. Also sign up and listen via our web site, secretgolf.com. And of course you can follow us on Twitter, Facebook, Instagram. It's all just Secret Golf. We'll be back with another podcast soon.